On 24th of November 2016 an international working meeting “Joint Forces of International Law Clinics & NGOs in dealing with migration issues” took place in Paris. This meeting was a direct continuation of the new project line of the “EU-Russia Legal Dialogue” programme of the EU-Russia Civil Society Forum, started with the round table “International Cooperation of Legal Clinics and NGOs” that took part in Moscow on 21th of October, and aimed at facilitating cooperation between legal clinics and civil society actors from Russia and the EU. One of the topics selected for further cooperation during the round table in Moscow were migration issues. During the working meeting in Paris representatives of recognized NGOs working on migration and against xenophobia, such as Civic Assistance Committee from Moscow or the European network UNITED for Intercultural Action discussed with representatives of specialized legal clinics, such as Pole du droit des etrangeres a la Clinique juridique de Paris or Refugee Law Clinics Germany the potential of development of new cooperation forms between NGOs and Legal clinics dealing with migration in Russia and the EU countries. NGOs have been a cornerstone of the development and preservation of civil societies all around Europe. Legal clinics can be a mere extension of the general ideas of such NGOs into the field of legal education. The effectiveness of legal clinics is widely accepted. A proof of concept is no longer required; even outside the Anglo-American common law sphere. Further discussing the virtues of legal clinics for legal education has thus become a mere platitude. The combined efforts of NGOs and legal clinics however pose opportunities for projects especially on the topic of migration. The effectiveness of NGOs is among other factors dependent on specialisation and professionalization. Legal clinics on the other hand are still widely practiced as one-for-all general legal clinics. That is deeply rooted in the idea that legal education itself is to cover a broad spectrum of legal fields. To be admitted into the caste of legal practitioners one is expected to be fluent in various dialects of the law. The thematically focussed legal clinic has one specific advantage over the general practice. Covering wide aspects of legal challenges allows one to merely react to a case presented. The caseworker will first have to acquire a sufficient level of proficiency on the specific issue. The caseworker seasoned in a specific field is able to skip this first step. He or she already has acquired a level of proficiency. That allows him or her to tackle much more complex and profound issues and have a greater impact on the case presented. The fields of action can range from consumer law to social benefits or internet law. Generally there is an impetus from pro bono culture. The issues addressed can usually be allocated to vulnerable groups or the financially disadvantaged. Migrants arguably inhibit the weakest position in society – even in the liberal democratic ones. 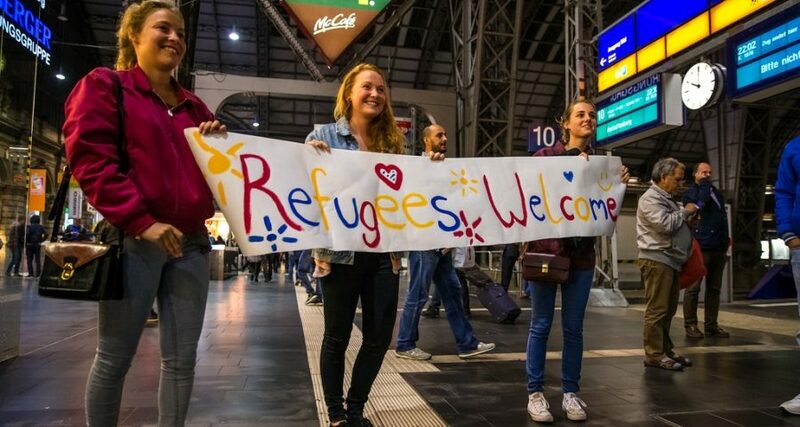 Refugees make up the feeble misfits of those migrants. They are an obvious choice from the pro bono perspective. Even though there is a subjective right to legal assistance in most European and all EU countries1EU directive 2011/95/EU the standards are frankly rarely met. Yet refugee law as a professional focus has merit beyond pro bono incentives. It is not just a relatively sober field to learn. Clinical work with refugees can have a more unmediated impact than in most fields of law. Even minor interventions in especially early stages of the asylum procedures can improve the outcome significantly. A current court decision from Germany2OVG Schleswig 3 LB 17/16 is the perfect example for such argument. A state high court on public law ruled that a Syrian is only entitled to subsidiary protection rather than comprehensive protection under the Geneva Convention on Refugees. The court decided that the arguments brought forth by the claimant did not merit the individual prosecution required to be recognized as a convention refugee. However, not because the court did not come to the conclusion that such a situation does not exist in Syria, but rather because the claimant failed to present supporting arguments during his or her asylum procedure in Germany. This Syrian arguably was not sufficiently informed on the obligation to present such evidence. With very little support in the early stages of the procedure he or she could have argued a favourable case. As a consequence he or she is not entitled to seek family reunification in Germany 3See Birgit Laubach, “Subsidiary Protection instead of Full Refugee Status Complicates Family Reunification”, https://legal-dialogue.org/subsidiary-protection-instead-full-refugee-status-complicates-family-reunification. The Legal Dialogue meeting in Paris showed that there is great potential in establishing a common platform. The issues faced do not so much differ across Europe; neither do the solutions – and that specifically includes all of OSCE-Europe. NGOs and legal clinics can unfold lasting synergies in their fields of work. Where NGOs often have access to a more comprehensive infrastructure and network legal clinics can utilize the potential of especially law students. The legal faculties of Europe are filled with motivated and useful individuals impeded from making use of the skills acquired even in the early stages of their legal education. NGOs have been highly negligent in not making use of this resource. On another level legal clinics still lack a substantial platform in their respective regions, states and countries. Many still understand themselves as unique in their actions and environment – even as competition. The case of the newly formed Refugee Law Clinics of Germany4Refugee Law Clinics Deutschland e.V. www.rlc-deutschland.org has disproved that approach. Where in 2013 there were only a handful of initiatives spread over Germany there is now a platform for more than 30 legal clinics and similar projects. A reinforced network and exchange has already resulted in a significant increase in professionalism and quality of service provided. Representing a critical mass of initiatives has furthermore allowed the Refugee Law Clinics to engage more confidently in public discourse and towards relevant institutions. Developing such model further to a European level appears nothing but consequential; especially in the field of migration which is by definition an international issue. NGOs and legal clinics have the exceptional ability to provide an unaltered observation of the actual situation in their respective areas. Funnelling those abilities can produce an honest evaluation of the situation in a comparative manner. Something that is non-existent today but direly needed. The Legal Dialogue project from the EU Russia Civil Society Forum might just be able to facilitate such a platform. With a wide ranging network beyond singular issues and with institutional support it provides an optimal framework to further develop the absolutely necessary cooperation between NGOs and legal clinics in their regions, countries and across Europe; not just in the field of migration.